A native of Hilo, Hawaii, Louis P. Mendonca began his legal career working for an insurance defense law firm in Honolulu, gaining invaluable trial preparation and arbitration experience that instilled in him the importance of thorough case preparation. While working in the defense arena, Louis P. Mendonca soon came to realize that his true passion is helping people find the solutions they need to restore stability to their lives, particularly those who are vulnerable and unable to help themselves due to catastrophic injuries. 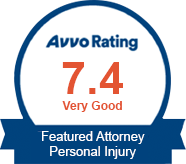 He formed his own firm in 1992 in Hilo, on the Big Island of Hawaii to focus on representing plaintiffs in serious personal injury and wrongful death cases. His previous role defending large corporations and insurance companies gives him a distinct advantage in his capacity as a plaintiff’s attorney. He understands the opposition’s point of view, which has allowed him to anticipate its next steps and squash them, yielding successful results for his clients. Louis P. Mendonca successfully litigated all aspects of arbitration and the prosecution of a declaratory judgment action against an insurance company that resulted in a successful appeal to the Hawaii Supreme Court. This appellate court decision requires insurance companies to make legally sufficient offers of optional “stacking” of underinsured motorist coverage and to secure written rejections from its insureds for said optional coverages. 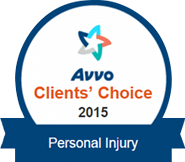 Nothing can erase the pain and suffering caused by your personal injury or a loved one’s wrongful death. Louis P. Mendonca will fight tirelessly to ensure you receive the compensation you deserve to move on with your life. Contact Louis P. Mendonca, Attorney at Law today for a free initial consultation. From his office in Hilo, he represents clients throughout the Big Island and Hawaii.